I got it from a yard sale about 20 years ago. 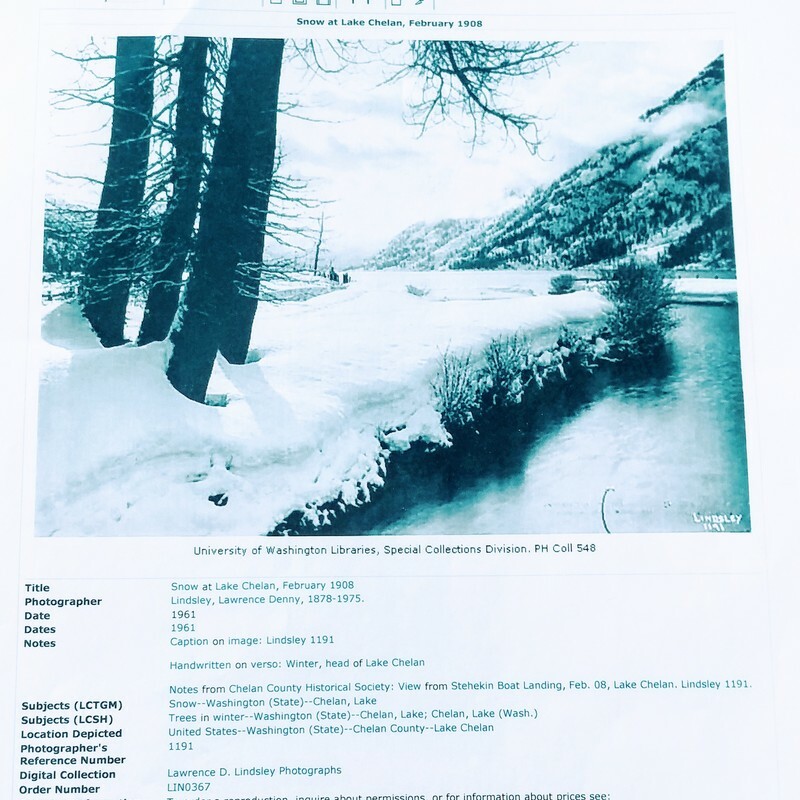 Greetings, thank you for submitting your hand-colored Gelatin photograph depicting snow at Lake Chelan by American photographer Lawrence Denny Lindsley. Fabulous Yard Sale Find!! The bulk of Lindsley's work is available in public museums, archives and institutions and examples come to the auction market less than once every two years. That said, if this piece were offered at auction I would conservatively expect it to realize between $400USD and $500USD. As an aside... it is likely that the gallery you spoke with 15 years ago was providing you with an Insurance Evaluation which accounted for the price of the artist's works in a gallery rather than at auction. While gallery prices are subjective, they are frequently at two to three times the price a piece sold for at auction. If you have any follow-up questions, I am at your service and thank you for submitting to Mearto.